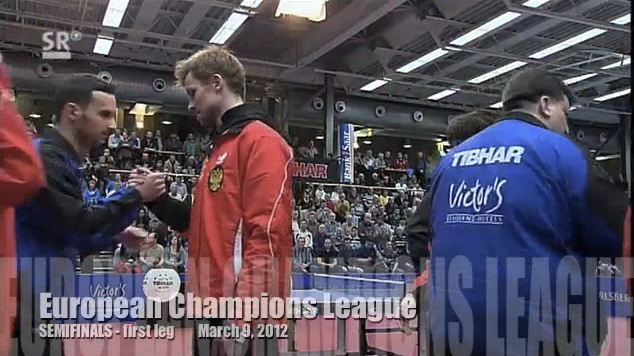 Highlights from the 1st leg of the semifinals of the 2011/12 European Champions League season. Saarbrucken vs UMMC & Chartres vs Orenburg. Some of the top players include Dimitrij Ovtcharov, Vladimir Samsonov, Michael Maze, and Gao Ning. Also, a new segment with the latest updates from some of the best TT websites around the internet!